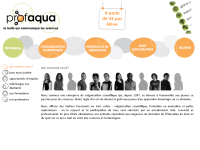 Profaqua offers scientific workshops for primary schools and kindergartens in the greater Montreal area. Bracher-Automation took the existing Web-Design and extended it. Thanks to the Babellate CMS System, the client can directly edit the content of the site. Style-et-Tendance imports clothing from France to Canada. An administration-panel enables the client to edit the catalog and update the website. 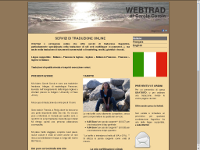 Carole Corsia is an Italy-based online-translator. Of course she translated the content of the website by herself. This was made possible by the MyFtpWebEdit CMS-System that we used here. 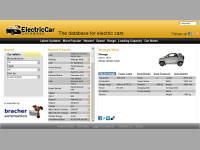 Electric-Car-Database.com is a database of electric cars. The models can be sorted according to different criteria. Manufactures have the possibility to edit their own car-data through a password protected access. New cars are automatically tweeted, posted on Facebook and featured in the sites RSS-Feed. Montreal-Toronto.com is a quite simple Website about Montreal, Toronto and how to travel between those cities. What makes this site special is, that it is in the top 10 Google search results in several languages for „Montreal Toronto“. Translation in so many languages was made possible by the Babellate CMS-System. 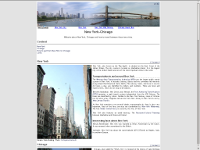 New-York-Chicago.com is a spin-off of Montreal-Toronto.com. The same website template and backend is used the give information on how to travel from New York to Chicago. Fotopanorama.ch is a page with landscape and panoramic pictures of Switzerland, Canada and a few other countries. The content of the site is stored in CSV-tables – thus no database is required to run the page.